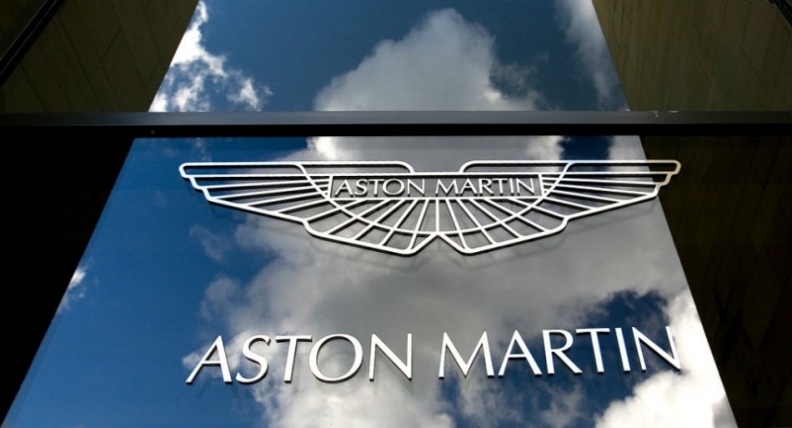 Aston Martin may consider an initial public offering as early as next year as the British automaker seeks to capitalize on the success of Ferrari's listing to lure investors, people familiar with the matter said. The century-old carmaker, whose owners include Investindustrial Advisors, could list in London, said the people, who asked not to be identified because the talks are private. Aston Martin is waiting to report 2017 financial results before choosing advisers for a formal process, one of the people said. No final decisions have been made, and the company could decide to postpone the plans, they said. Aston Martin's management "are 100 percent focused on the delivery of our seven-year business plan," Simon Sproule, a spokesman for the company said. "Any matters pertaining to the future structure or ownership of the company are a matter for our shareholders." Investindustrial is "not working on an IPO. Banks often come to us and our partners to pitch ideas to position themselves for potential future mandates," the company said in an emailed statement. "Any future decision regarding an IPO will be a matter for shareholders and Aston Martin's board." The luxury carmaker could aim for a valuation similar to Ferrari, which was listed in New York in 2015, said the people. Ferrari's shares have risen about 62 percent since its IPO and trade at about 14 times estimated earnings before interest, taxes, depreciation and amortization for 2017, according to data compiled by Bloomberg. That multiple would value Aston Martin at as much as 2.3 billion pounds ($3 billion). Still, while Aston Martin sells similar vehicles, the British manufacturer lacks the global cache of Ferrari, which has been labeled the world's most powerful auto brand by consultancy Brand Finance. Meanwhile, Aston Martin doesn't appear in the marketing researcher's list of the top 500 global brands. Aston Martin sells about 4,000 cars a year, less than half of Ferrari's deliveries. The company has been considering a potential IPO since at least 2011 when former CEO Ulrich Bez said a listing would be a natural exit for its investors. Current CEO Andy Palmer has pledged to venture beyond the automaker's staple offering of high-end sports cars as it positions itself for a listing. A new factory in Wales will produce the DBX crossover, which the company says will be "practical and family friendly," rather than merely luxurious and fast. Aston Martin is also expanding with a push into yachts, apartments and handbags. Aston Martin's fourth-quarter results jumped, fueled by shipments of its new 155,000 pound DB11 model, and the company said it expects full-year Ebitda to increase to between 160 million pounds and 165 million pounds this year from 101 million pounds in 2016. Aston Martin is controlled by Italian private equity firm Investindustrial, with Kuwaiti companies Investment Dar and Adeem Investment as its other main shareholders. Investindustrial bought a 37.5 percent stake in the British manufacturer in 2012. JPMorgan Chase & Co., Deutsche Bank and Goldman Sachs Group were the global coordinators on the company's bond issue in March.